Toughened safety glass can play an obvious role in financial institutions, hospitals, prisons, cash businesses and other commercial properties where security is a primary concern. However, toughened glass is also becoming a much more prominent feature in office design in the U.K. Commercial designers are increasingly integrating toughened glass panels and partitions into office interior design for a number of key reasons. Toughened glass panels are very versatile due to the strength and thickness of the glass. They offer the strength and durability to withstand wear and tear in a busy office environment. Toughened glass therefore allows designers to consistently push the boundaries of office design by offering flexibility of functionality. For example, designers can use toughened glass to create walk-on glass floors in an office building, table tops, shelving, facades and even furniture. Allowing natural light into a workspace is essential to improving the well-being of employees. However, lack of natural lighting is one of the biggest problems faced in office design. In high rise office buildings, designers are also faced with security concerns. Glass windows need to be present to relay natural light but also need to be durable enough to support staff or customers potentially pressing or leaning against the glass. Toughened glass windows offer the perfect solution. 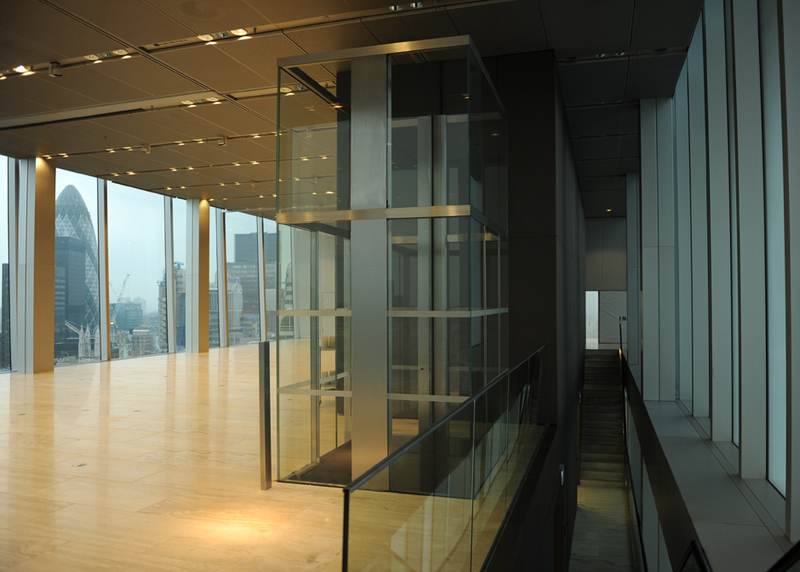 The glass can maximise the dispersion of natural light and at the same time offer support to withstand heavy impact or pressure, alleviating security concerns in high rise office buildings. Extensive use of glass in office design is extraordinarily popular as it offers a distinct contemporary appearance and a wonderful aesthetic. Toughened laminated glass, although offering greater durability and thickness, does not deter from the aesthetic of an office building. Most people assume that the additional strength and durability of toughened glass panels will equate to a bulky appearance but this isn’t true. Toughened glass can even be curved, tinted and shaped to further complement the office design. Glass wall partitions can be used to create a private space within a busy office environment when they are formed with tinted, coloured, patterned or frosted styles of toughened glass. Laminated toughened glass partitions are very effective at preventing noise pollution and can therefore create a more effective, productive workspace. Laminated toughened glass can even reduce outside noise, especially near busy areas such as motorways, main roads and airports. Toughened safety glass maximises energy efficiency as the thicker glass layers help to prevent heat escaping through your windows and doors. Toughened glass doors and windows will not only save on energy costs but can also make future rearrangement of the office easy, cost efficient and speedy. They require very little or no structural treatment and are easy and quick to install. Require toughened glass for an upcoming project? As leading toughened glass UK manufacturers, Diamond Glass can provide expert advice and assistance in selecting toughened glass products for your upcoming design project. Get in touch with our specialist team to discuss your specific project requirements.